Best Organic Hawaiian Macadamia Nuts! *for one most organic macadamia nuts you find in health food stores come from Kenya, who knows when they were actually harvested and what conditions they had to go through to get the U.S.
*As of today we have been the only Organic Hawaiian Macadamia nut processors in the US for the past 12 years that we know of, meaning you know where they come from (Mahina Mele Farm) on the Big Island of Hawaii. *We ship immediately after being cracked and dehydrated. Absolutely the freshest Organic nuts available!!!! *Our mission as a family run Organic farm is to produce the highest quality food possible, nutrient rich, and delicious. To do so we have high standards in the way that we process our nuts and go to great lengths to make sure the nuts that we ship are consistently the best, buttery and crunchy. *Talk to us directly, if you have any question about the way we process our nuts just ask, we are available. *Our nuts are not processed with any other nuts or foods, so no worries about gluten or other nut allergies. *Organic Macadamia nuts, use weed whackers to cut down the weeds not poison, we use blowers to remove leaves, not poison, we feed our trees with organic fertilizers and compost, not chemicals. We are so grateful for all our customers, its a relationship we continue to build on Thank You!! This entry was posted in Best Coffee, Bulletproof Coffee, Farm Direct, Hawaii, mac nuts, Organic Coffee, Organic Food, Organic Kona Coffee, Organic Macadamia Nuts, Pure Mana Hawaii, Raw macadamia nuts, Super Food, Superfood and tagged Dr. Mercosa, Fresh Macadami Nuts, Gift Basket, Gourmet Coffee, Hawaii, Hawaiian macadamia nut, Macadamia nut cheese, organic hawaiian farm, Organic Macadamia Nut Oil, Organic Macdamia Nuts, paleo diet, Raw, Raw Nuts, Superfood on February 7, 2017 by Mahina Mele Farm. The Best Kona Coffee is Certified Organic. Kona Rose Coffee is 100% Kona and Certified Organic for the past 11 years. Our passion of producing the very best coffee started in 2000, where our time was consumed with growing, processing, and roasting the best cup of coffee. Today and many years later or mission is the same. 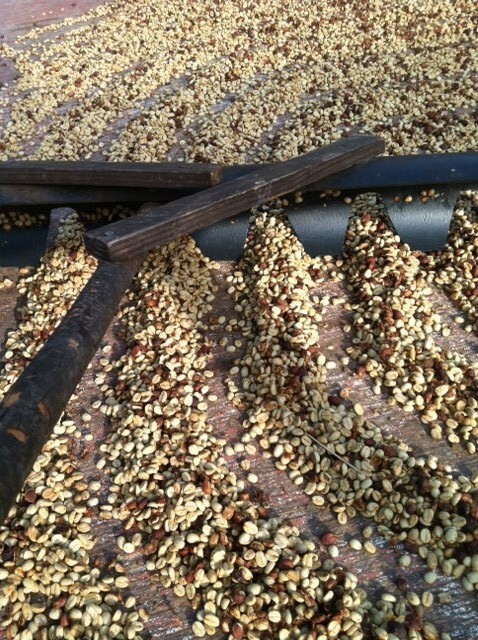 Producing the Best Kona Coffee is an art. 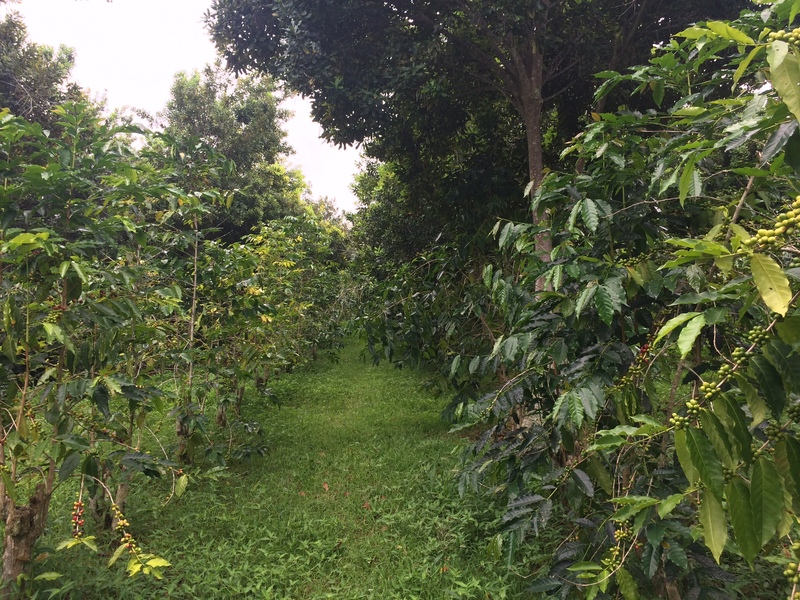 We grow our coffee within the shade of our macadamia nut trees, using bio-dynamic and organic farming practices. Our trees our fed the highest grade compost, organic fertilizers, and minerals that nourish the trees to produce the fullest, most flavorful beans. 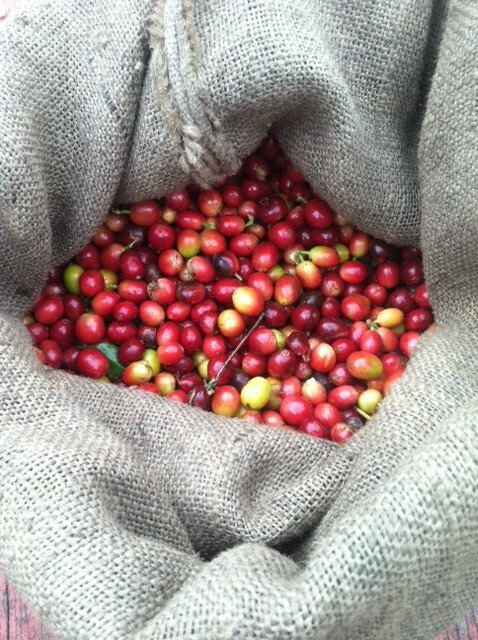 We pick at perfection and process the coffee that allows the fruit and chocolate undertones to the coffee cure the coffee. The coffee is then roasted in small batches to perfection, by people who know and love what a perfect roast taste like, The Best Coffee is Certified Organic and The Best Kona Coffee is Kona Rose Coffee. Gourmet coffee every time, roasted weekly. Please join our monthly cupper club and receive your order monthly direct from Mahina Mele Farm. We appreciate your support! This entry was posted in Best Coffee, Bulletproof Coffee, coffee-slider, Expensive Coffee, Farm Direct, Hawaii, Home Roaster, Home Roasting, kona coffee, Mountain Thunder Coffee, Organic Coffee, Organic Green Coffee, Organic Kona Coffee, Organic Skincare, Pure Mana Hawaii, Super Food, Uncategorized and tagged 100% Kona, Benefits, Bulletproof coffee, Dr. Mercosa, Gourmet, Hawaii, Kona, Kona COfee, Kona Coffee, Mac Nut Oil, Organic, Organic Green Coffee, Superfood on July 20, 2016 by Mahina Mele Farm. This entry was posted in A Superfood, Best Coffee, Bulletproof Coffee, Expensive Coffee, Farm Direct, Hawaii, Hawaiian Skincare, kona coffee, Mac Nut Oil, mac nuts, Macadamia nuts, Organic Coffee, Organic Kona Coffee, Organic Macadamia Nuts, Organic Skincare, Pure Mana Hawaii, Pure Skincare, Super Food, Uncategorized and tagged 100% Kona, Bulletproof coffee, Dr. Mercosa, Fresh Macadami Nuts, Gift Basket, Gourmet Coffee, Kona, Kona Coffee, macadamia nuts, Organic Macadamia Nut Oil, paleo diet, Raw on May 24, 2016 by Mahina Mele Farm. 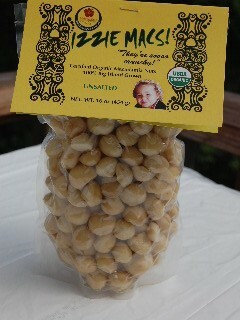 Hawaiian Raw Macadamia Nuts- Certified Organic. A true Super food and we are the only ones! Dehydrated and Certified Organic we are a family run business since 2005. 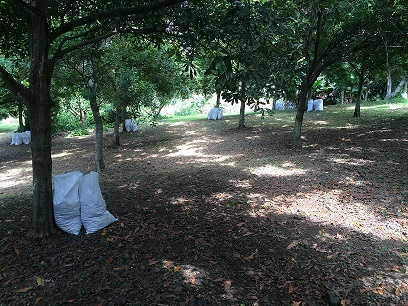 We take pride in delivering nutritious macadamia nuts starting with the soil we grow them in. Using Certified Organic and Bio-Dynamic growing methods we produce the sweet and buttery macadamia nuts Hawaii is known for. We are located on the Big Island of Hawaii with 60 inches of rainfall a year, a perfect growing region for macadamia nuts and Kona Coffee. Our passion is serving the best possible food available and we dont know of anyone else on the islands doing it quite the same. Try and taste the difference of Raw Dehydrated macadamia nuts packed with vitality. We are always here, email or call to order. This entry was posted in A Superfood, Best Coffee, Bulletproof Coffee, Farm Direct, Hawaii, Hawaiian Skincare, kona coffee, Mac Nut Oil, mac nuts, Macadamia nuts, Organic Coffee, Organic Kona Coffee, Organic Macadamia Nuts, Organic Skincare, Pure Mana Hawaii, Pure Skincare, Super Food, Uncategorized and tagged 100% Kona, Benefits, Dr. Mercosa, Fresh Macadami Nuts, Gift Basket, Green Coffee Oil, Hawaii, Hawaiian macadamia nut, Kona, Macadamia nut cheese, Organic Macdamia Nuts, paleo diet, Raw Nuts, Superfood on May 23, 2016 by Mahina Mele Farm. This entry was posted in Best Coffee, Bulletproof Coffee, Farm Direct, Mac Nut Oil, mac nuts, Macadamia nuts, Organic Coffee, Organic Kona Coffee, Organic Macadamia Nuts, Organic Skincare, Pure Mana Hawaii, Pure Skincare and tagged 100% Kona, Benefits, Fresh Macadami Nuts, Gourmet Coffee, Hawaii, Hawaiian macadamia nut, Mac Nut Oil, macadamia Nut, Macadamia nut cheese, Organic Macadamia Nut Oil, paleo diet, Raw Nuts, Skincare, Superfood on May 2, 2016 by Mahina Mele Farm. The beginning of every month we will ship your coffee order, freshly roasted to perfection. No strings attached, whenever you would like to discontinue or change your order we are a email or phone call away. Your working directly with the farmers that grow and produce your coffee organically, a small family run business that wants to know you! Kona Rose Coffee is smoooooth, well rounded and full bodied cup of coffee with chocolate and fruity undertones that linger and may entice you for a second cup. We also can serve it up the way you like. We offer Kona Rose Coffee in 1/2#, 1# sizes, ground or whole bean. We also offer our coffee in our signature roast (med-dark) or Dark Roast. We also offer our exclusive Organic Peaberry. Try any of the above and taste the difference in amazing cup of coffee, you deserve it! This entry was posted in Best Coffee, Bulletproof Coffee, coffee-slider, Expensive Coffee, Farm Direct, Hawaii, Hawaiian Skincare, kona coffee, Mac Nut Oil, mac nuts, Organic Coffee, Organic Skincare, Pure Mana Hawaii, Pure Skincare, Uncategorized and tagged 100% Kona, Benefits, Bulletproof coffee, coffee, Gift Basket, Gourmet Coffee, Hawaii, Hawaiian macadamia nut, Kona, Kona COfee, Kona Coffee, Mac Nut Oil, macadamia Nut, Organic, Organic Green Coffee, Organic Macadamia Nut Oil, Organic Macdamia Nuts, paleo diet, Superfood on March 29, 2016 by Mahina Mele Farm. This entry was posted in coffee-slider, Green Coffee Oil, Hawaii, kona coffee, mac nuts, Pure Mana Hawaii and tagged 100% Kona, Gourmet Coffee, Kona COfee, Mac Nut Oil, Organic on September 30, 2015 by Mahina Mele Farm. From the makers of Kona Rose Coffee, Izzie Macs!, Baby Bruddah Mac Nut Butter and Kona Rose Coffee….. This entry was posted in Green Coffee Oil, Hawaii, Mac Nut Oil, mac nuts, Pure Mana Hawaii and tagged 100% Kona, Kona COfee, Mac Nut Oil, Superfood on September 18, 2015 by Mahina Mele Farm.